We all used to dance around our bedrooms belting out our favourite hits using a hairbrush as a microphone! Well, now you can fulfil some of your childhood pop-star aspirations with a karaoke experience! 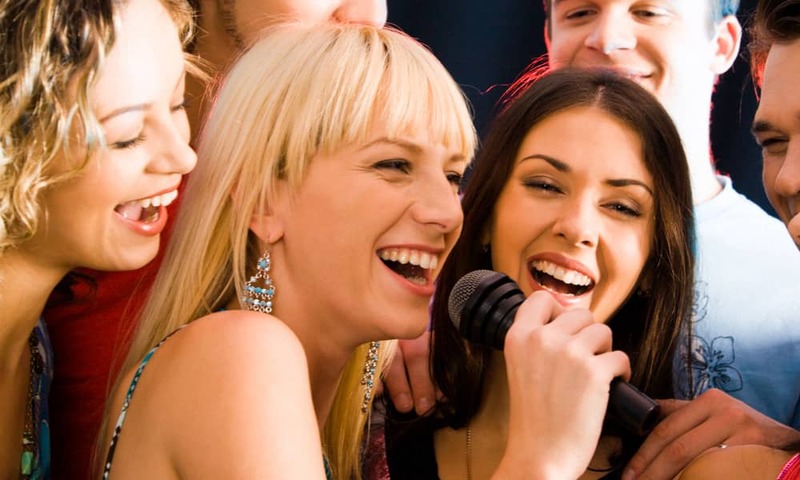 You'll have great fun with your friends as you select and sing your songs in your own private karaoke room. Don't worry no-one else can hear your efforts! There are thousands of karaoke songs to choose from. So whatever type of music you like - cheesy tunes, rock or even a song from your favourite Disney movie, there's something for everyone to have a go at and you'll all be clambering for the mic! So go on, act out your pop star fantasies - will you brave it as a solo singer or form a new singing sensation group! ?